As a series of outreach events across the nation, ISNA representatives visited Birmingham, Alabama this past Friday and Saturday, April 19-20, 2013. This outreach visit provided ISNA the opportunity to connect with local Muslim community members. It also illustrated how ISNA can serve the specific needs of the community and concluded with a plan of action to help empower them in working towards strengthening and enhancing their community. 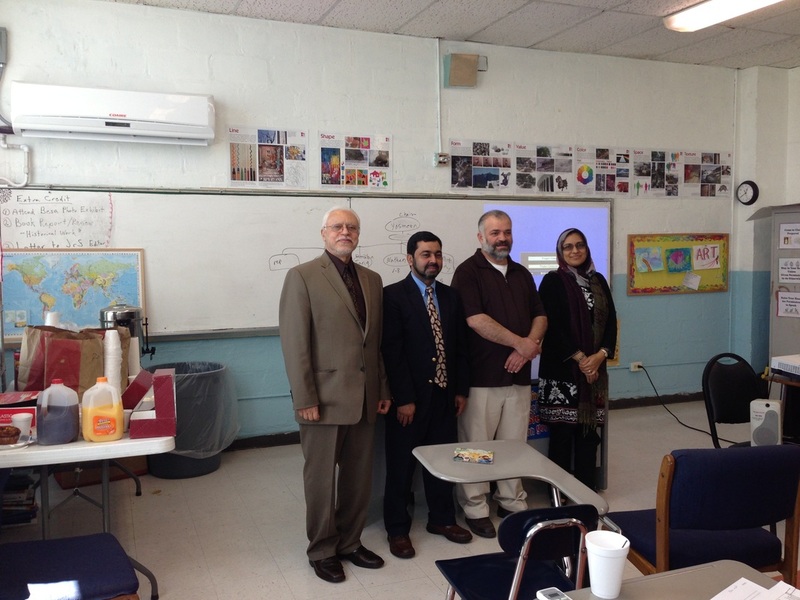 Special guests included Sr. Sufia Azmat, Executive Director of ISNA’s Council of Islamic Schools of North America. Two khutba’s one at the Homewood Masjid and the other at Hoover Crescent Islamic Center, opened the weekend with spiritual rejuvenation focused on ideas such as unity and the need to reconnect our lives with God. Providing further enlightenment on the topic, Br. Ahmed ElHattab, Executive Director of ISNA Development Foundation shared a talk, “A Sound Heart: The Building Block of a Sound Community” during Friday evening’s lecture series. The day Saturday was spent with Sr. Sufia providing more than 25 teachers and educators at the Islamic Academy of Alabama training. Bullying, an issue recently highlighted in ISNA’s Islamic Horizons and presented at the ISNA Education Forum was a key part of the discussion. Saturday evening concluded the program with a meeting with Board Members from the Birmingham Islamic Society at Hoover Crescent Islamic Center where ISNA’s Basket of Services was presented, and a future outreach weekend was decided upon.